My internet is being persnickity since the storm, so bear with me. If you’d like to read the first part of this series – here is the link to Fourth Street Revisited. 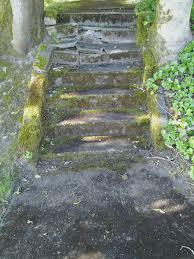 Here are the stairs to the haunted house. No, I’m NOT kidding either! This was the house the kids wouldn’t trick or treat at. We set candy OUT on the walkway so they wouldn’t have to walk to the door – nope, uh-huh – they wouldn’t touch it! 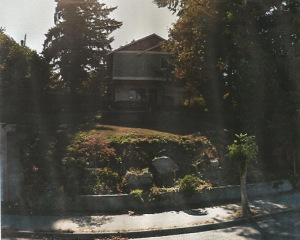 Here is what the house looks like today – when we lived in it – it didn’t have the second story. To the far left of this picture is the spooky garage that cut into the hillside – but that’s another story for later….